Random numbers are constantly used in the digital world. Oftentimes, computers calculate them on their own, using man-made algorithms. Those calculations follow a certain ruleset. That is why, computed randomness is also entitles as a pseudo random. Nature on the other hand behaves in a way, we can not predict yet. Until then, natural processes can be seen as a true, unexpected and better random. Natural processes, like the melting of ice, are controlled by the surrounding space and its properties. Temperature and wind are just the most obvious forces. Random by nature is an installation, which is driven by those unpredictable forces. They are translated back into a perceptible output. The space it is positioned in, defines how it is going to behave. 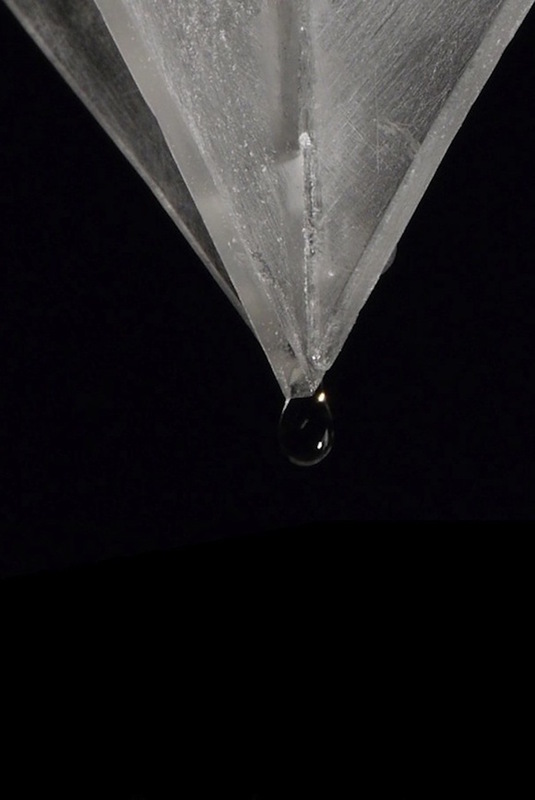 The arrangement of eight ice cubes eventually starts melting and releases droplets of water. 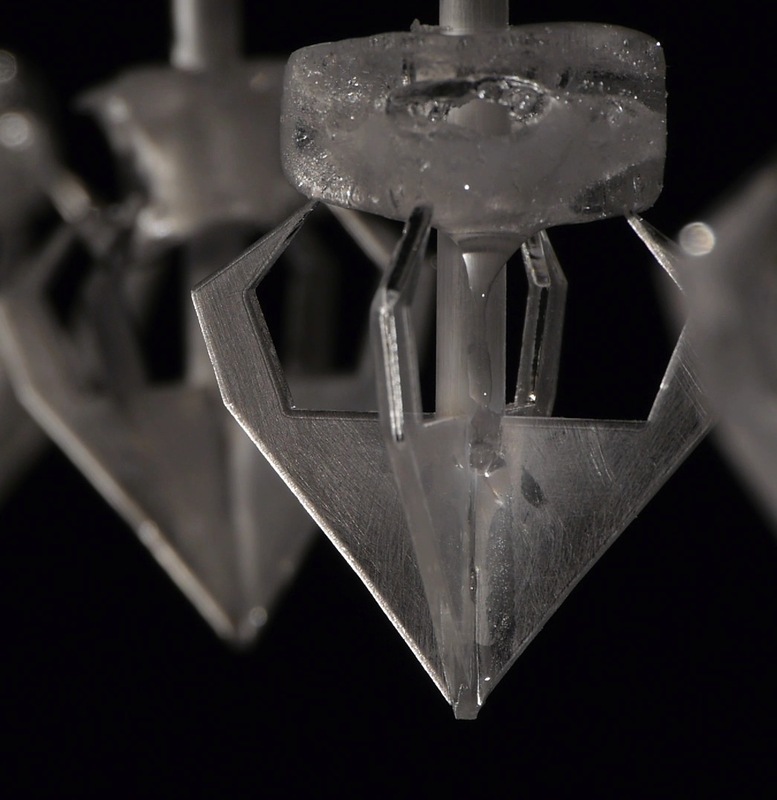 The droplets have a chance to land into the receivers, which are positioned underneath each ice cube. 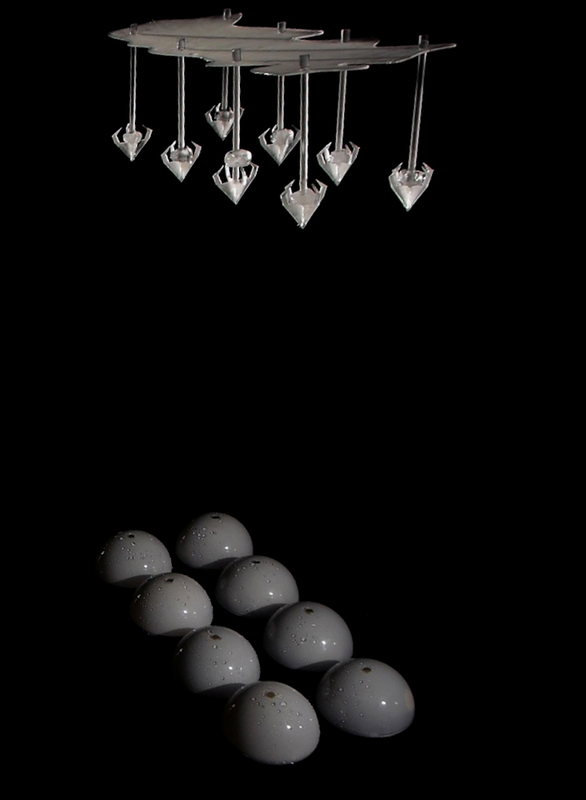 Each time the sensor is hit, a sound is played. The Project shows in its own way, how random processes happen in nature. It also shows, how the surrounding space is affecting their behavior. Setting it up in different places can produce a completely different outcome.